Once you're happy with your interaction maps, hit the export button to download your interaction maps and share the digital file or a printout with your team and clients to keep them up to date. You can export as many maps as you'd like at once. 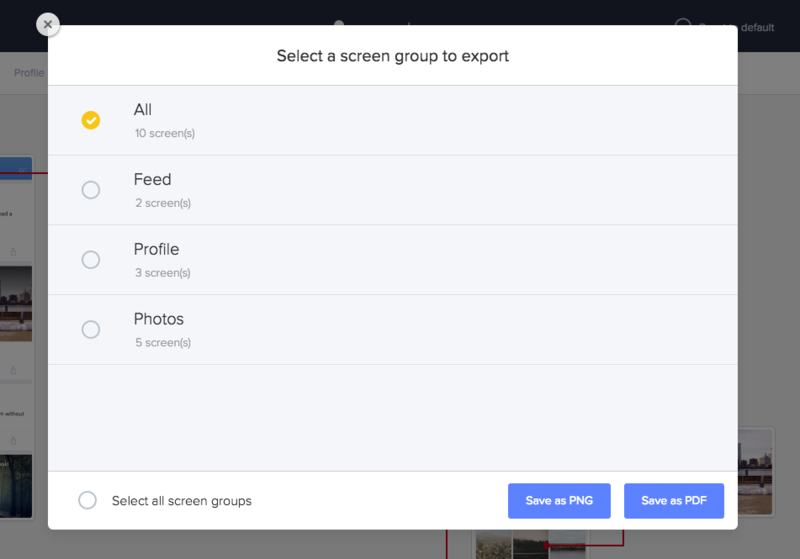 Once you've selected the groups you would like to export and the format (PDF/PNG), your maps will download in a zip file. Note: The Interaction Map feature is available exclusively to the Pro, Team, and Enterprise plan users and can only be downloaded using Google Chrome.